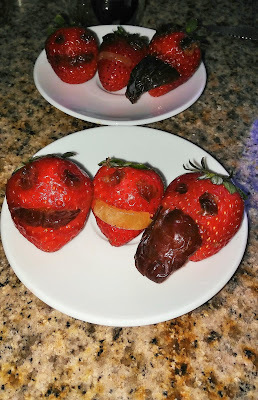 I wanted to surprise the littles with some fun treats on Halloween Morning. I came up with these 2 quick treats! 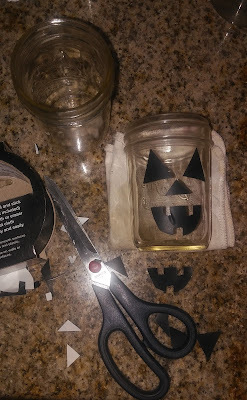 I used a pairing knife to poke holes for the eyes and slices for the mouths. 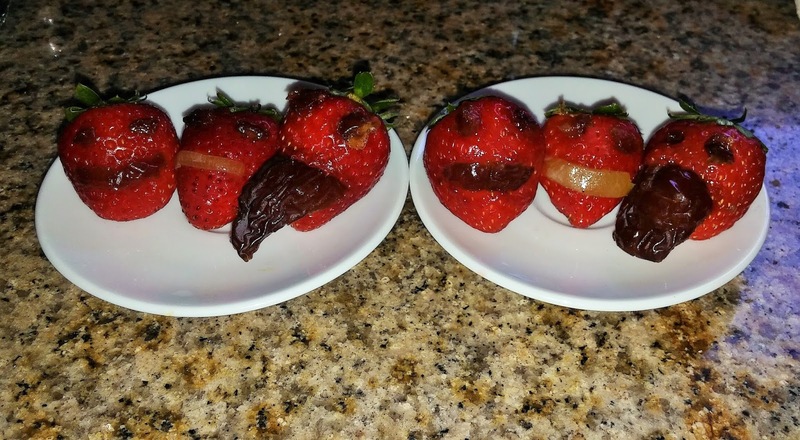 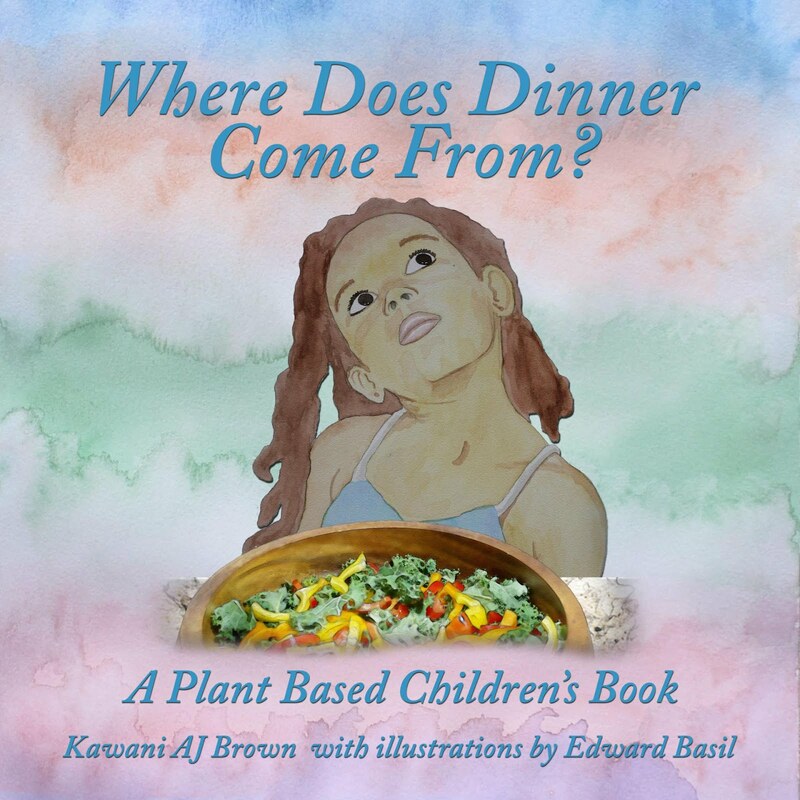 Insert pieces of both the dates and grapes for the eyes and mouths. 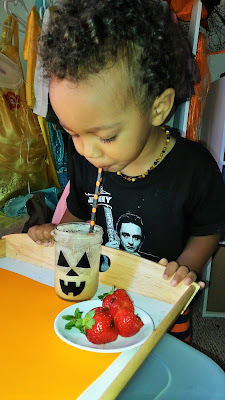 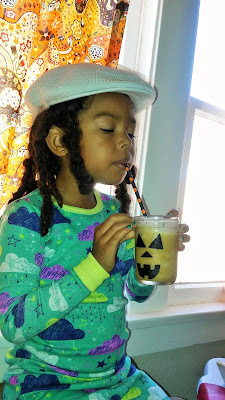 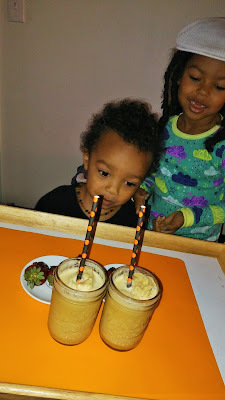 The littles enjoyed the strawberries and Virgin Pumpkin Spice Frappucinos on Halloween Morning! 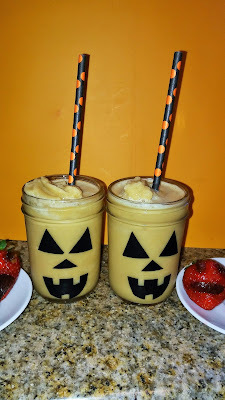 Click here for Pumpkin Spice Frappucino Recipe!